Podcast: CTIA I.T. & Wireless 2009 Special Edition! Podcast time! I've been out in San Diego this week for CTIA I.T. & Wireless 2009, and while the show has been fairly quiet we've still had a pretty good week in the BlackBerry World. The release of BlackBerry Messenger 5.0 was enough to keep all of us addicts happy (plus we know the Storm 2 and Bold 9700 announcements and releases are just around the corner) and we even had a little fun (which is still undergoing) with our BBM 5.0 Stress Test. That said, there was still plenty to talk about in this special edition podcast. Our pal Mickey Papillon from the Cell Phone Junkie hosted the show (he's a Pro), and Dieter and I joined him to go over the highights of the event. 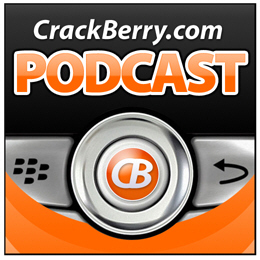 Regular CrackBerry Podcast listeners and all smartphone junkies will want to listen to this one. Enjoy the show! Oh yeah, and if the BB alert noise in the first few minutes bugs you, stick with it... we slience it after we "discuss" it. If you like the Podcast, be sure to Subscribe to it in iTunes, and better yet, if like the show write us an iTunes review! Be sure to send your feedback to podcast@crackberry.com, or leave us a message or BlackBerry question on our Podcast Hotline! Call 1-866-904-5772 ext 222.